EUR/USD: Bullish: Increasing risk of a short-term top. We have been holding the same view that the outlook for EUR is “still bullish but odds for extension to 1.1300 are not high” since Monday, 22 May. While the price action since then has been confined to a relatively narrow range, upward momentum is showing signs of waning and the risk of break below 1.1130 has grown considerably. From here, unless EUR can move above the 1.1265/70 high seen earlier this week within these 1 to 2 days, it is getting increasing likely that the bullish phase that started last Wednesday, 17 May is nearing an end. That said, a break below the 1.1130 would signal the start of a consolidation phase and not a major bearish reversal. GBP/USD: Shift from neutral to bearish: Immediate target of 1.2830. We have warned over the past couple of days that GBP is topping out and “a clear break below 1.2920 would greatly increase the odds for a move towards 1.2830”. The 1.2920 support was just taken out at the time of writing and based on the rapid pace of decline, a break below 1.2830 would not be surprising. The next support is at 1.2775. Stop-loss is placed at 1.2975. AUD/USD: Shift from bullish to neutral: In a 0.7380/0.7480 range. Our bullish expectation was proven wrong as AUD just edged below the stop-loss at 0.7430 at the time of writing. This pair has likely moved into a consolidation phase even though the immediate bias is for a probe lower towards the bottom of the expected 0.7380/0.7480 consolidation range. The immediate 0.7050/55 target that was first highlighted when we turned bullish on Tuesday, 23 May (spot at 0.7000) was met as NZD touched a high of 0.7059 yesterday. 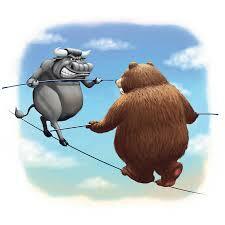 While the rapid pace of rally suggests that caution is warranted, further extension to 0.7090 would not be surprising. USD/JPY: Neutral: In a broad 110.20/113.10 range. There is no change to the current neutral outlook for USD. While the price action over the past few days has been rather muted, supports and resistances are far apart after the out sized drop last week and the key levels are still at 110.20 and 113.10.